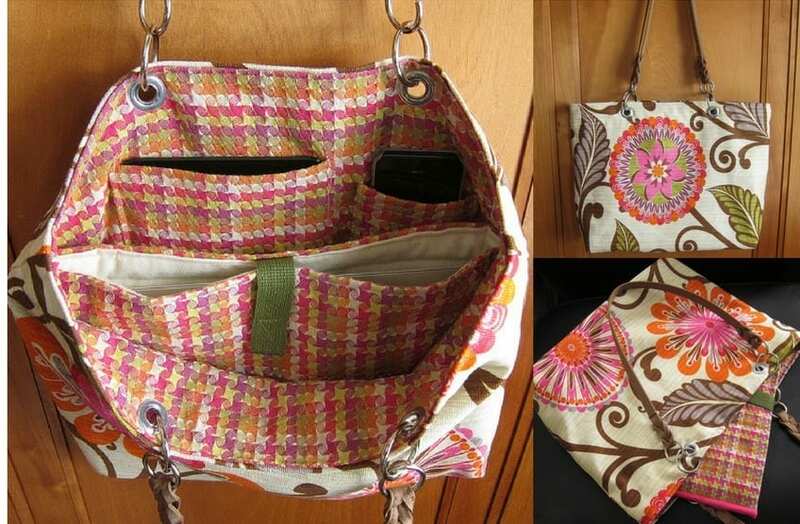 Here's how to make a laptop tote bag. It has pockets to fit an iPhone and Ipad mini. Of course, you can just make the tote and use it to hold whatever you want too. The tote bag is made to fit a 13″ Macbook Air or Macbook Pro. You can adjust the sizes to fit your particular computer.